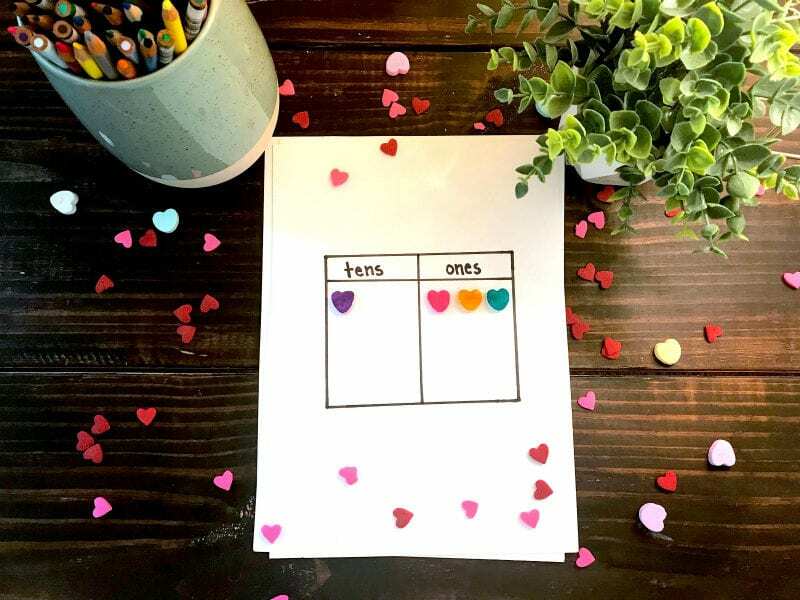 Plus, ideas for candy heart math, too! 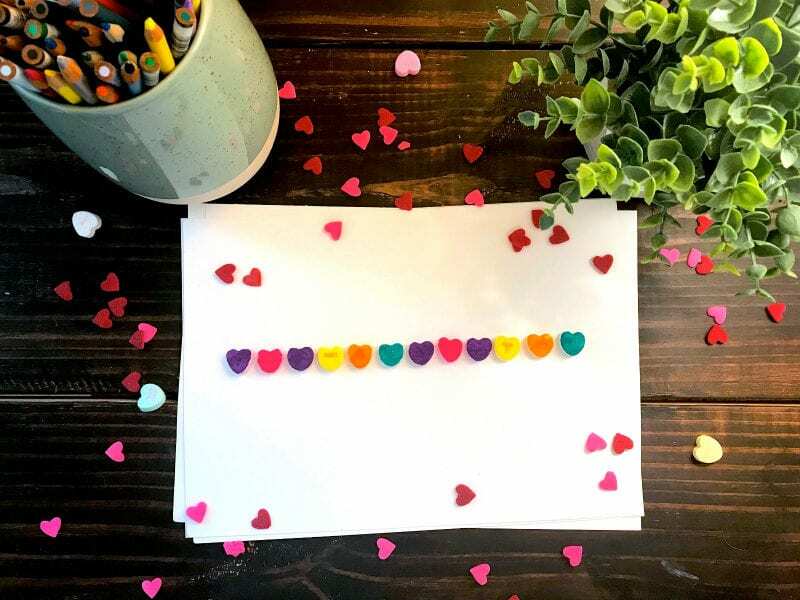 Looking for an excuse to celebrate Valentine’s Day with your students, and, you know, eat candy? 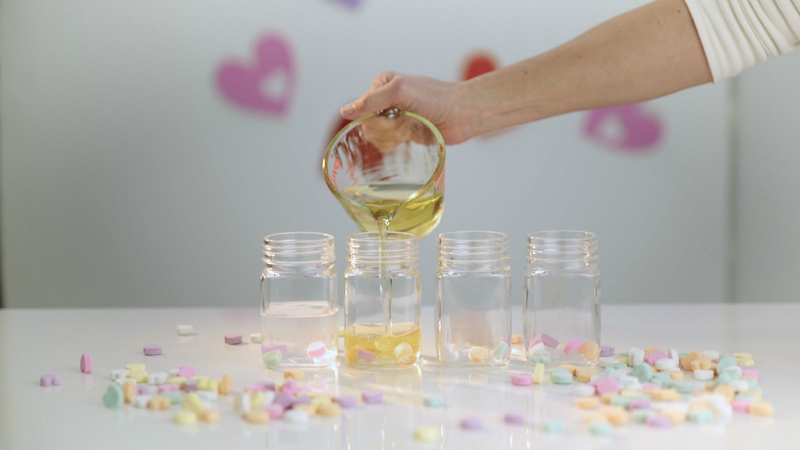 We have it right here with these candy heart science experiments and math activities. While the company making the beloved candy hearts went bankrupt last year (though there is hope for a future revival), you can still buy conversation hearts from other brands. Grab some Brach’s conversation hearts, or try the Sweethearts brand, if you have the heart (see what we did there? )—and budget. Then let your students start practicing and experimenting with these activities. Take a peek at our science activities in this video (below). Then read on for more ideas. You can keep this activity simple for young kids or more challenging for older kids. Have students create a set of boxes to show place value, like the sample above. Then have students grab a handful of candy hearts. You can say a number out loud in front of the class (like 13 in this example). Then they have to place the hearts accordingly. Work on tallying and fractions. 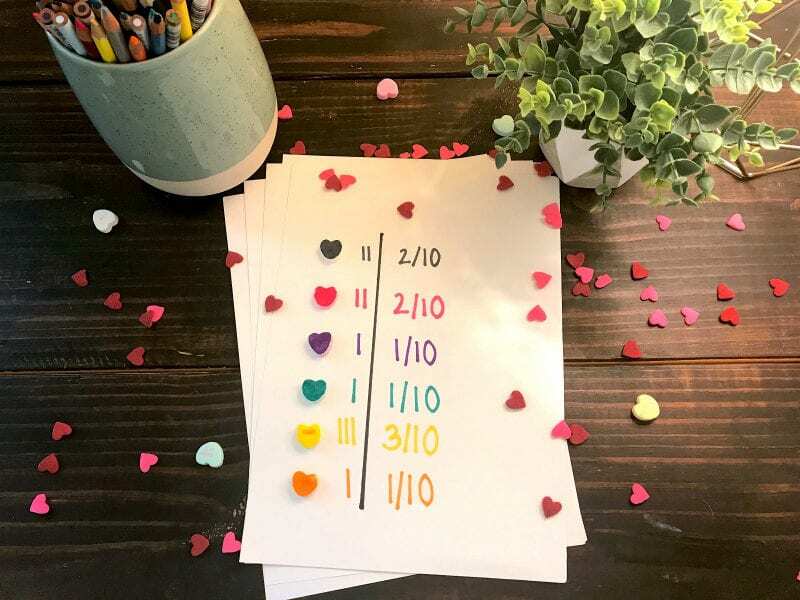 Have students take a certain number of hearts (10 is a good number to start with). Then have them tally each color they have and/or turn it into a fraction. You can make this project easier or harder, based on the age and abilities of your students. This one works best in small groups or one large group. 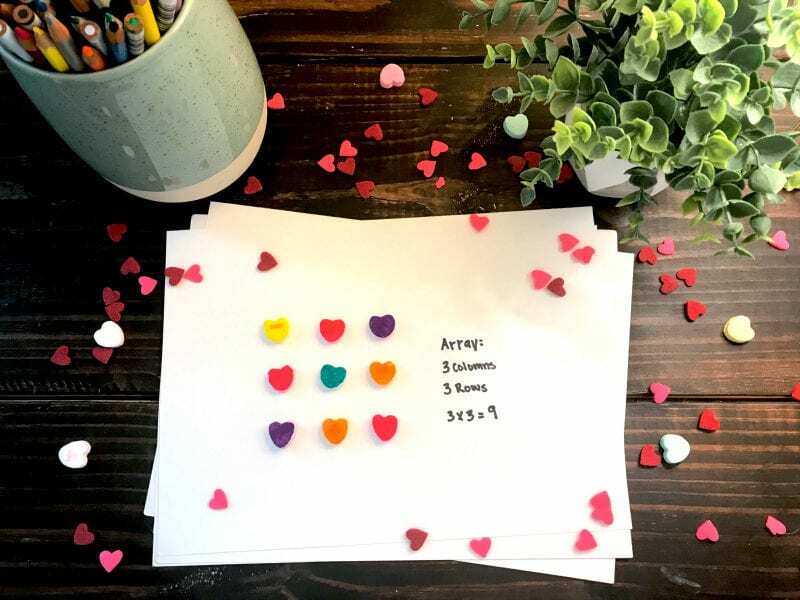 Take a look at all the candy hearts you have and write down each number. Then have students make a graph to represent the different colors. 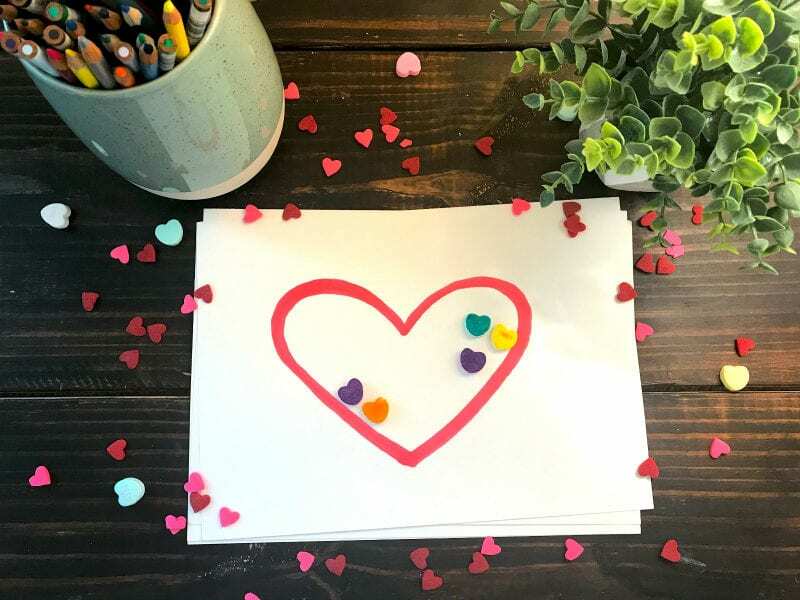 Make a large heart and have students estimate how many candy hearts they think will fit inside of it. Once they make a guess, have them figure out how many will actually fit. 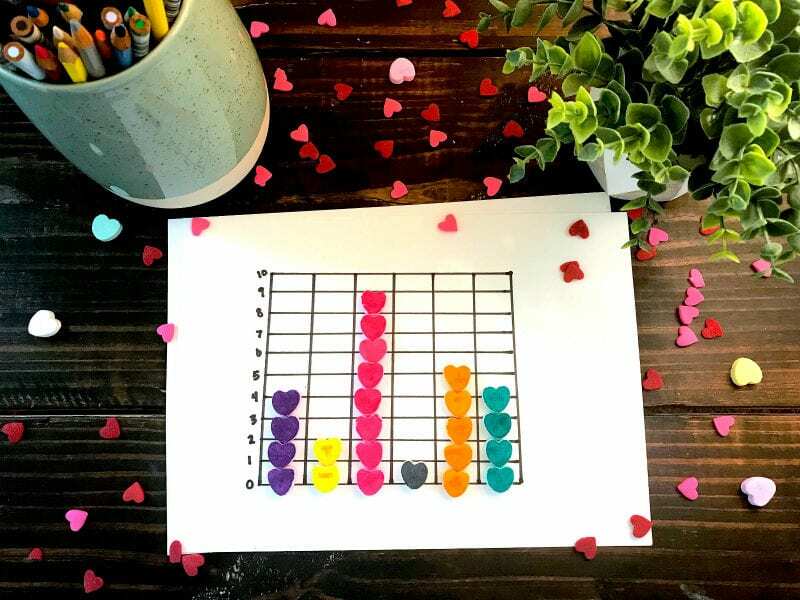 Have students create different patterns with their candy hearts. Then have them challenge one another to figure out the pattern. This is a really good activity to do in partners. Candy hearts make the perfect excuse to construct arrays! You can let students practice this on their own. Or challenge your students with a single fact and have them all work on it individually. This is a really fun way to practice division and break it down. It’s all about thinking about groups. 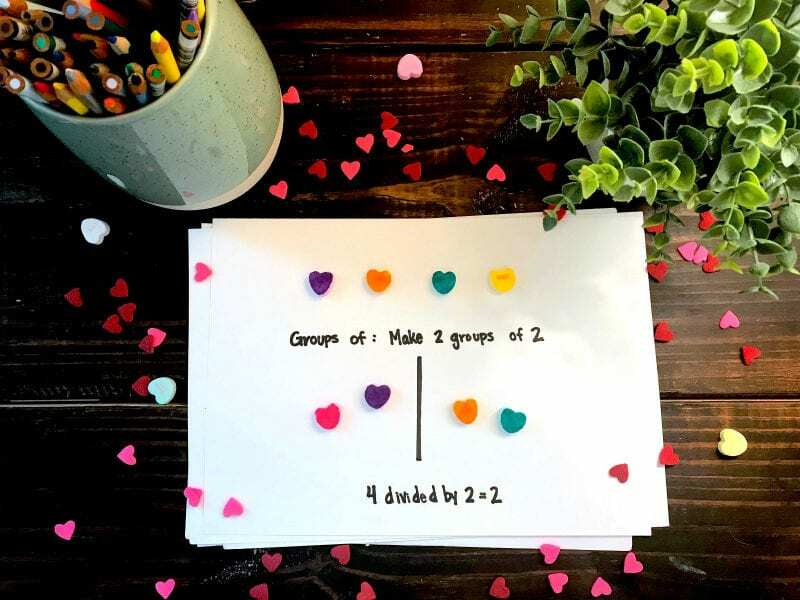 For example, give students four hearts and have them make groups of two (4/2=2). They’re doing division! Predict if hearts will sink or float. Will it sink or float? This is an easy and awesome activity for kids of all ages. 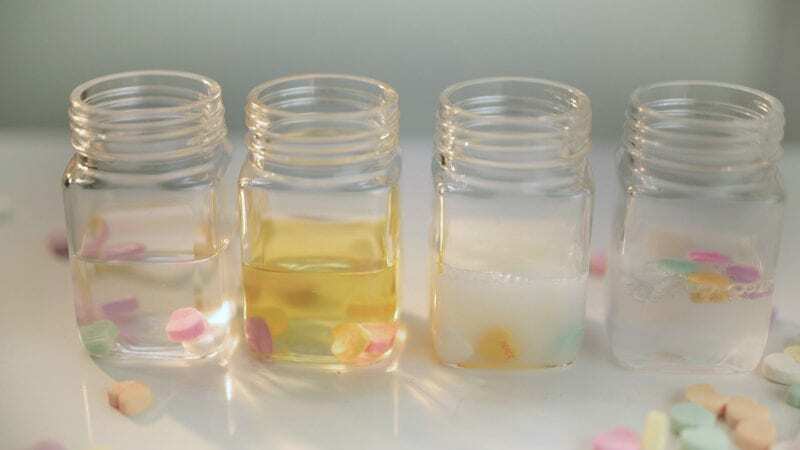 Talk to your students about how liquids are made up of different densities. Then have them make predictions for specific liquids. You could even create a chart for this or take a group vote for each one. Here’s another one where your students can have a lot of fun with their predictions. 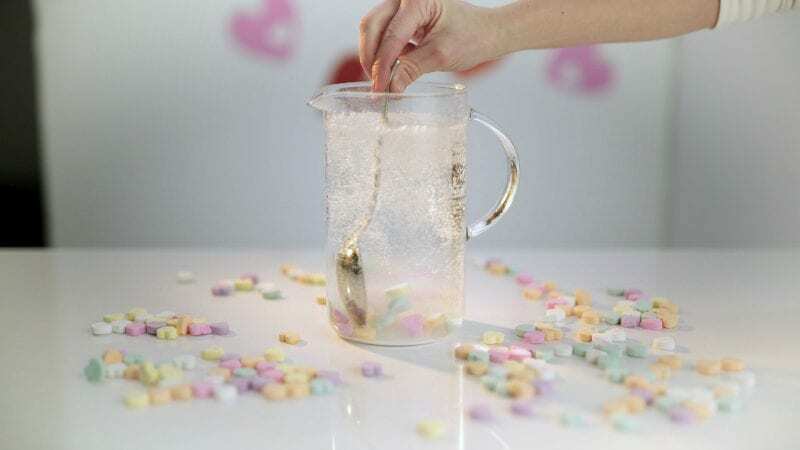 The National Science Teachers Association has this great article about the dynamics of dissolving. This will help you tie your lesson back to your curriculum. Make the candy hearts dance. Chemistry, carbonation, and chemical reactions are some of the key concepts in this fun science lesson. For younger kids, it’s also a good discussion on states of matter. Take a look at this article for more info. The candy hearts really do seem to dance before your eyes. It’s like magic! What are your favorite hands-on math and science experiments? Come and share in ourWeAreTeachers HELPLINE groupon Facebook. Plus, our favorite Valentine’s Day books and printable Valentines for your students.